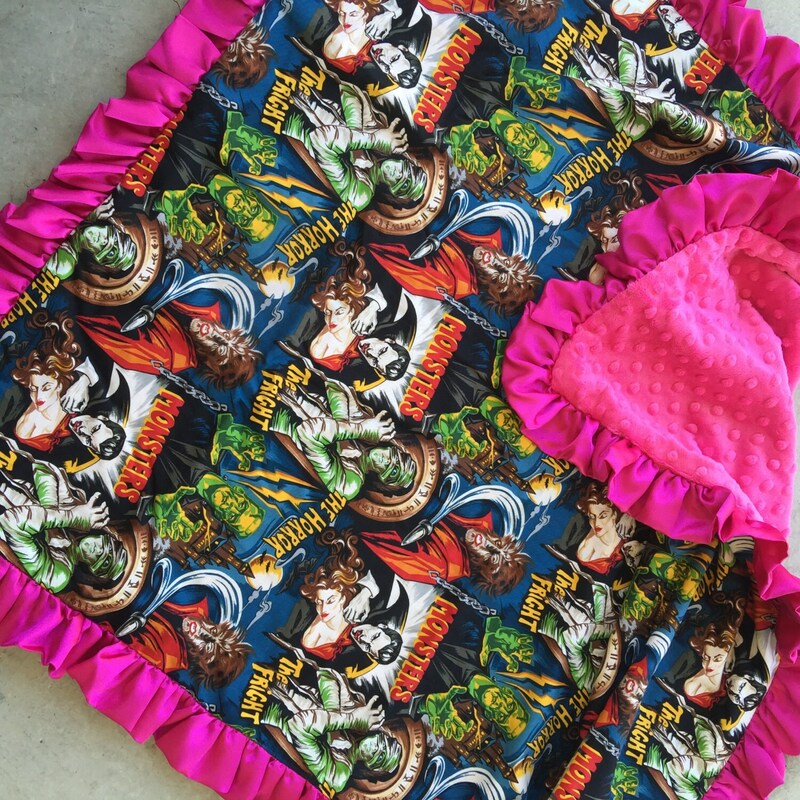 This luxurious minky blanket has been finished with a black satin binding. 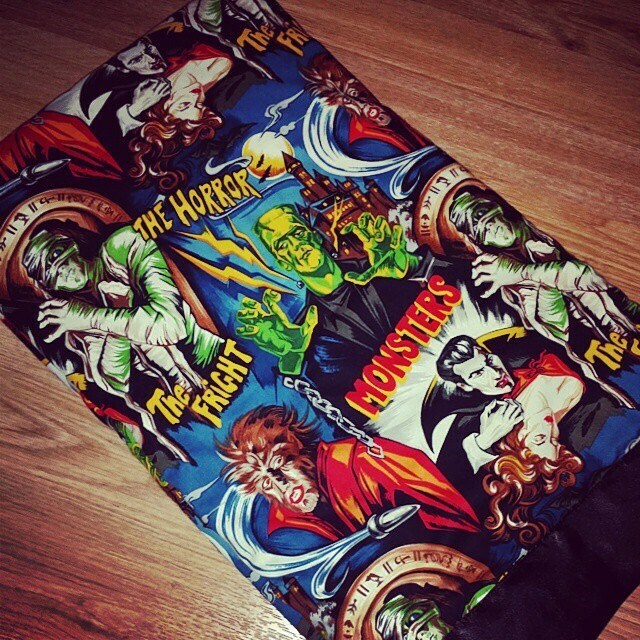 This has a cotton Hollywood Monsters and Villians fabric on top and black minky dot on the bottom. You can choose the color minky you want on the botom of the blanket. Please state at checkout. If no comment is stated, blanket will ship as pictured with bubblegum satin ruffle and bubblegum minky dot on reverse. I'm so happy! I ordered the blanket with blue instead of pink and a black satin trim with an embroidered name on the solid side. It far exceeded my expectations it's beautiful! I actually cried when I opened the package-Some might say it's the pregnancy hormones but I say it's the quality of this blanket! lol I'm so pleased!